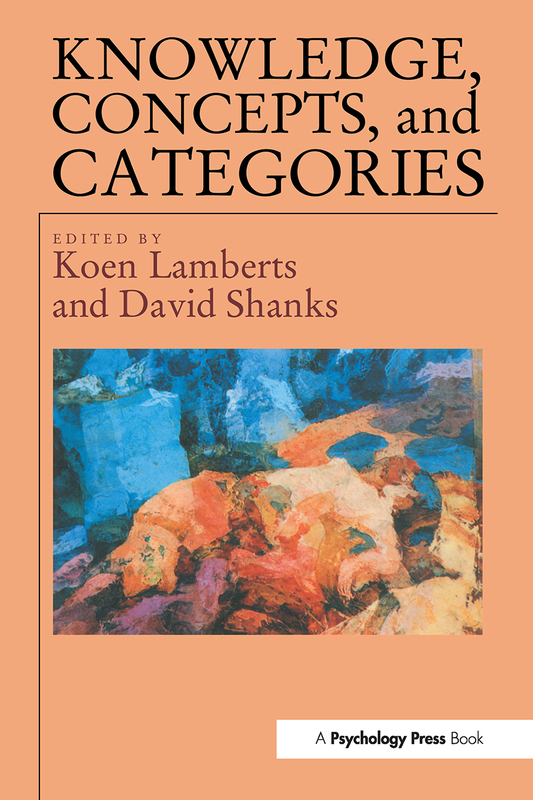 Knowledge, Concepts and Categories brings together an overview of recent research on concepts and knowledge that abstracts across a variety of specific fields of cognitive psychology. Readers will find data from many different areas: developmental psychology, formal modelling, neuropsychology, connectionism, philosophy, and so on. The book can be divided into three parts. Chapters 1 to 5 each contain a thorough and systematic review of a significant aspect of research on concepts and categories. Chapters 6 to 9 are concerned primarily with issues related to the taxonomy of human knowledge. Finally, Chapters 10 to 12 discuss formal models of categorization and function learning. The purpose of these three chapters is to provide a few examples of current formal modelling of conceptual behaviour. Knowledge, Concepts and Categories will be welcomed by students and researchers in cognitive psychology and related areas as an unusually wide-ranging and authoritative review of an important subfield of psychology. K. Lamberts, D. Shanks, Introduction. E. Heit, Knowledge and Concept Learning. U. Hahn, N. Chater, Concepts and Similarity. G.L. Murphy, M. E. Lassaline, Hierarchical Structure in Concepts and the Basic Level of Categorization. J. Hampton, Conceptual Combination. L.B. Smith, L.K. Samuelson, Perceiving and Remembering: Category Stability, Variability and Development. D.R. Shanks, Distributed Representations and Implicit Knowledge: A Brief Introduction. B. Knowlton, Declarative and Nondeclarative Knowledge: Insights From Cognitive Neuroscience. T. Goschke, Implicit Learning and Unconscious Knowledge: Mental Representation, Computational Mechanisms, and Brain Structures. B.W.A. Whittlesea, The Representation of General and Particular Knowledge. K. Lamberts, Process Models of Categorization. J.R. Busemeyer, E. Byun, E.L. Delosh, M.A. McDaniel, Learning Functional Relations Based on Experience With Input-Output Pairs by Humans and Artificial Neural Networks. G. Storms, P. De Boeck, Formal Methods for Intra-categorical Structure That Can be Used for Data Analysis.